Global innovators joining to fuel WePower’s exponential growth. Stay tuned! 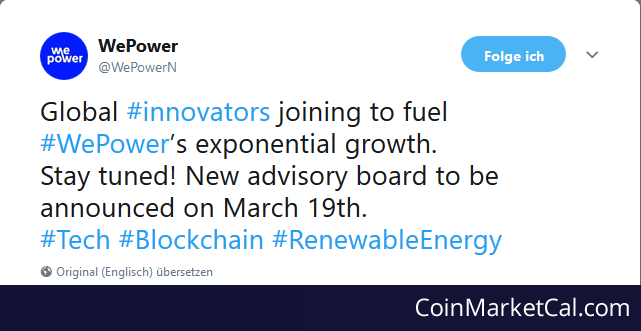 New advisory board to be announced on March 19th.